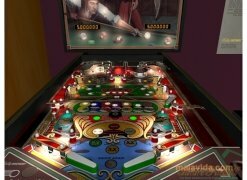 One of the most popular classic games in the majority of video game arcades during the 80's and 90's were the pinball machines. The objective of this addictive pastime is to manage to score the maximum amount of points as possible by hitting the different objectives marked by the machine with a metal ball that we will move thanks to two or more flippers. 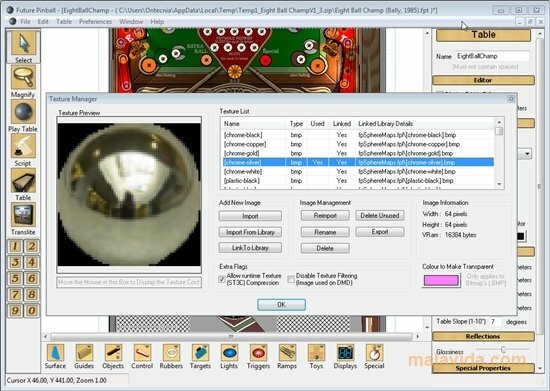 This game's popularity reached such a level that as time has gone by it has also had its corresponding software versions for the different computers that have appeared over the years: MSX, Amiga, Amstrad,... and of course, modern day PCs. And if you want to enjoy pinball on your computer, you can now download Future Pinball. 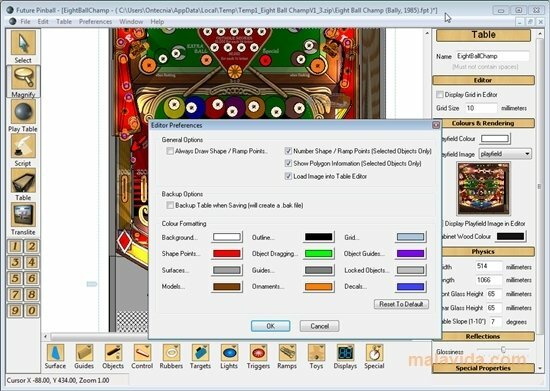 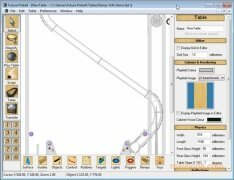 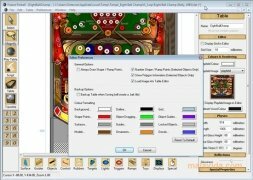 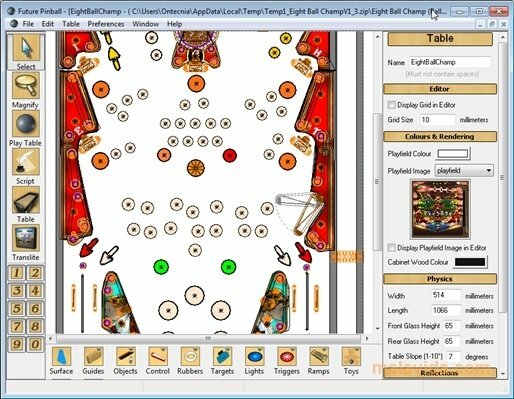 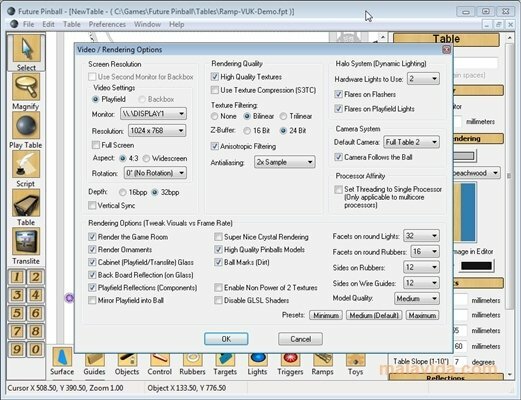 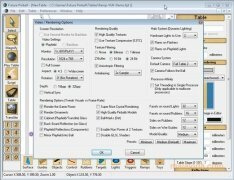 This interesting software application is a system to create 3D pinballs in real time, that will allow the user to generate customized game tables from his own designs. It allows us to define every single element that will be part of the machine: the bars, lights, ramps, objectives,... 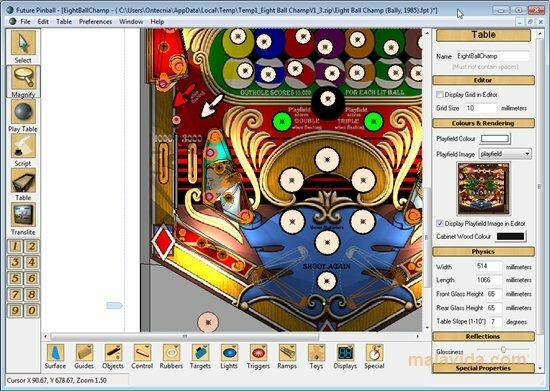 But what's even better is the possibility to download the designs by other users from the official Future Pinball website to be able to start playing immediately.